Dermal Fillers are a popular way of enhancing the face, by softening lines, contouring, replacing any volume lost due to the effects of ageing and to plump up the lips. 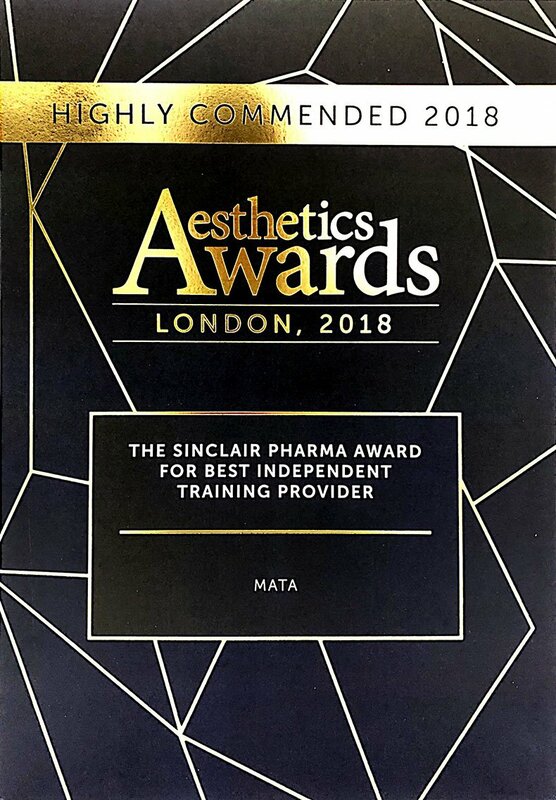 Many of our delegates will choose to do the Dermal Fillers course alongside our MATA Botox training course as the two go hand in hand when providing aesthetic anti-ageing solutions in your clinic or practice. At MATA Courses, our core objectives for our Dermal Fillers Courses are to give all of our delegates an in depth understanding of facial anatomy, how treatments work and how they should be administered safely. The aim is for our course attendees to leave feeling confident about entering the exciting world of aesthetics! The theory part of this Dermal Fillers course will mainly be done online through our comprehensive learning resource portal prior to attending. At MATA Courses we recognise that a hands-on approach works best when desiring a career in facial aesthetics and unlike most other Dermal Filler training courses, our delegates have the chance to undertake cadaveric dissection on fresh frozen material to gain experience before moving on to injecting live models. At our London Dermal Fillers Course you will get the chance to network with fellow professionals in the aesthetics and cosmetic surgery world as well as keeping up to date with the latest advanced in the industry and being exposed to a number of different brands of dermal filler. Upon completing your MATA Courses Dermal Fillers training you will receive a certificate which is recognised by all of the main insurance bodies. The MATA Dermal Filler training courses are for healthcare professionals only such as doctors, dentists and nurse prescribers who would like to expand their list of services to their clients. The Advanced Level Dermal Fillers course at MATA is for those healthcare professionals who have completed the Foundation Level in Dermal Fillers training with us or have the equivalent experience, and those already practicing Dermal Fillers treatments with the desire to learn new techniques and treatments. Who can attend a MATA Dermal Fillers course? MATA injectable dermal fillers courses can be attended by doctors, surgeons, general practitioners, dermatologists, dentists , paramedics, and nurse prescribers. Do I need to bring ID and documentation? For our injectable courses at MATA we will require you to bring your professional body registration documents (eg. PIN, GMC, GDC) and a form of photo ID as proof of identity on the day of the course to enable you to participate in the practical section of the training. Do I need to prepare for the Dermal Fillers training course? Prior to the practical dermal fillers injecting session, you will have already completed the theory component through the MATA virtual learning environment. The MATA Dermal Fillers course will cover a lot of information and the practical injecting will involve fine manual dexterity so it’s best to ensure you are not tired on the day. We advise that you arrive 10 minutes early and wear comfortable clothes. Do I need to bring a model for the practical Dermal Fillers course? We will provide models for the practical sessions of the Dermal Fillers training courses, but if you would rather bring your own please let us know in advance as we will need to send them our medical history form to fill out and ensure they are suitable for the treatment. What will I learn on the Dermal Fillers training course? As well as facial anatomy, science of fillers, complications and how to deal with them, correct injecting technique and pre and post care, on the Foundation level course you will learn Mid and lower facial rejuvenation including: nasolabial folds, vertical lip lines, ‘Marionette’ lines and for the Advanced level course you will learn dermal fillers for cheekbone enhancement, tear trough, jawline definition and temples. 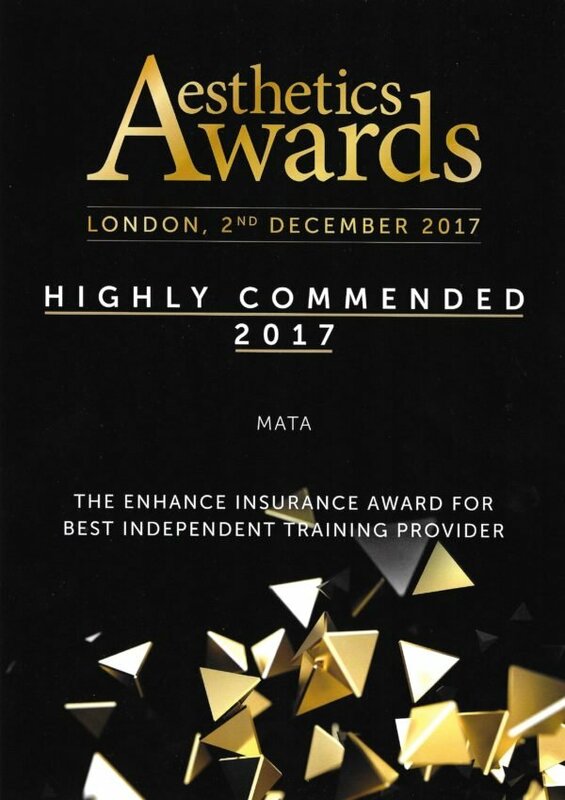 Yes, on completion of the course at the end of the day you will receive a certificate of attendance to the MATA Dermal Fillers course which is recognised by the main insurance bodies and allows you to obtain insurance to practise. How will I be assessed on the Dermal Fillers course? Following successful completion of the online theory component of the course, The MATA ‘hands on’ practical side of the injecting course is assessed by the tutor on the day who needs to ensure you have achieved our and your learning objectives by observing your injecting skills. How will I be supported once I finish training at MATA? Following completion of your MATA Dermal Fillers course, we offer many options to our course delegates from online/virtual support, 1-1 sessions or a mentorship programme where a delegate can come and shadow in a working aesthetics clinic.